Posto Pubblico, first eatery from Integrated Hospitality Management (IHM), is the tantalizing concoction of Todd Darling and Robert Spina. 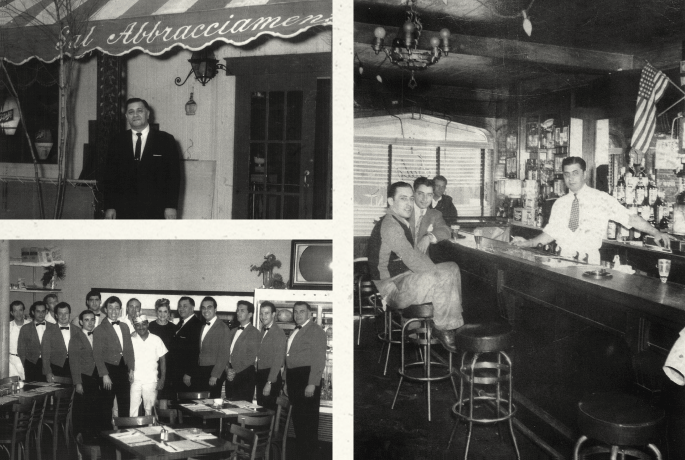 Having filled various roles within the Spina and Abbracciamento family restaurants throughout New York City and Northern New Jersey, Todd and Rob were exposed to age-old traditions that came to NYC from southern Italy during the 1930s and 40s - when the “American Dream” was still a reality and waves of Italian immigrants arrived in NY & NJ to fulfill that dream. Manhattan and Brooklyn. Sal, a pizza man, founded Abbracciamento Pizzeria that evolved into a full-service restaurant of the same name in Brooklyn. It was this restaurant that gave him the resources to raise his 8 younger siblings and his 4 children who eventually became restaurateurs as well. And it was in these very restaurants that still flourish today, where Todd and Rob honed their craft, unconsciously nurturing the birth of Posto Pubblico. Since bringing the osteria concept to Hong Kong in November of 2009, at posto pubblico one finds Italian home cooking with classically simple ingredients and a vibe reminiscent of old New York Italian that Sal and Carmelo would approve of. Add to that a humble nod to issues of the times - Posto Pubblico supports local agriculture by using organic produce sourced from neighboring farmers. Exceeding expectations of the typical traditional Italian restaurant, it personifies casual chic - the definitive place to be seen and seen in. Stop by for drinks at the vibrant bar or sit down to a meal prepared from recipes handed down over decades. "It’s the food that Todd and I grew up on," explains Spina. For this Italian-American, the "American dream" lives in Hong Kong. Welcome home!